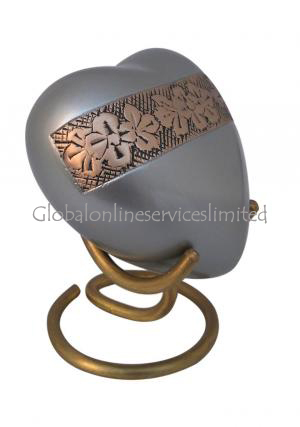 Wildflower design heart keepsake urn is a metallic urn made of superior quality of brass stronger from its nature and enamelled with silver grey. The Silver Grey Heart keepsake urn for ashes has the engravings of wildflowers in love trimmed on the face of the heart urn. 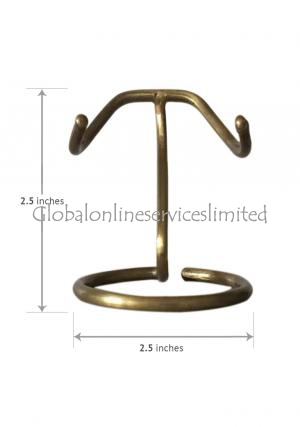 As brass finish to the band add's an attractive culture of flower band. 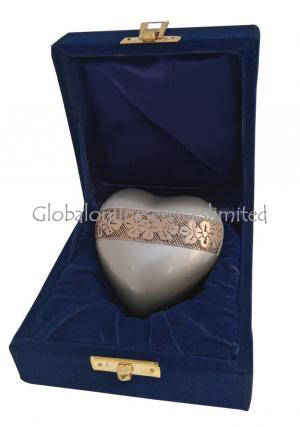 The Wild Floral engraved brass heart keepsake urn has well curved finish from skilled professional touch and tested to be strong holder of loved ashes. 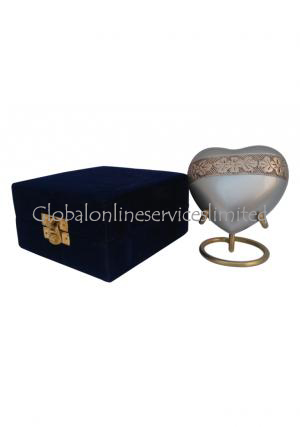 The Silvergrey floral heart keepsake cremation urn has a circled frame behind with a lid added of screw threading to the heart urn, used as an enclosed vacuum to preserve ashes of the loved ones. 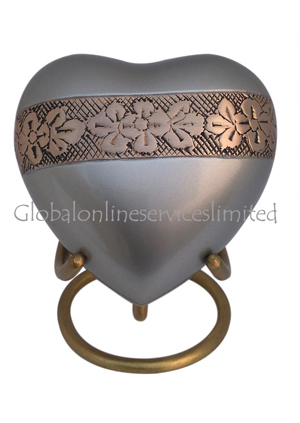 The Wildflower silver grey heart keepsake beautiful urn is capable of preserving 5 inches to an approximate of loved one's ashes. 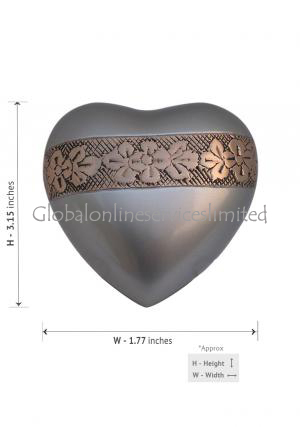 The measured features of heart keepsake floral urn are 3.1 inch in height, 1.7 inch in width, 3.34 inch in length and weighs 0.24 kg (empty).